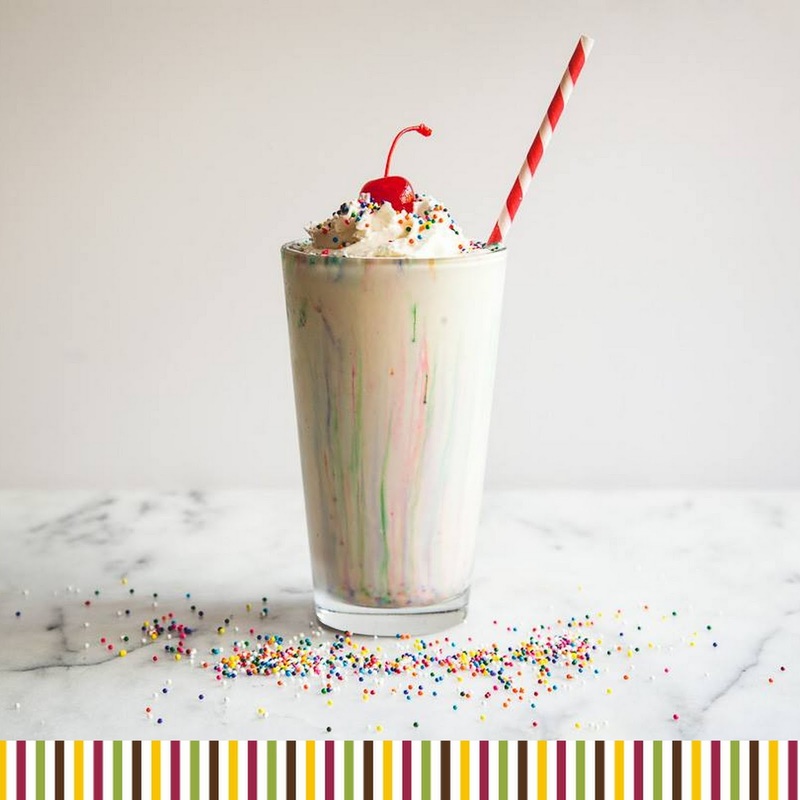 CCDS: Have your shake and drink it too! Have your shake and drink it too! These gorgeous shakes are a piece of art in a glass - impress your friends and family this weekend with this incredibly luscious shake. 1 drop each of yellow, purple, blue, green and red food gel. Add white chocolate to a large bowl along with the cream and microwave for 30 seconds at a time. Repeat until smooth. Split into 6 bowls and add food coloring to each bowl and mix until well combined. Transfer each coloured ganache to a piping bag and set aside. You’ll use the 6th bowl to decorate the lids of your serving jars. Add Dlecta Whipped Cream to a large metal mixing bowl. Whip on high using a hand mixer until cream thickens to stiff peaks that can hold their shape. Cover with plastic wrap and set aside in the fridge. To decorate your glasses, dip each glass top into some of the plain white ganache. Let as much of the ganache drip off as you can. Then dip it into coloured sprinkles. To decorate with rainbow ganache simply snip off the end of your piping bag with ganache and pipe each color next to the other, slightly overlapping on the last color. Follow the order of a rainbow. Green, Yellow, Orange, Red, Blue Purple. Once they’re decorated, set them aside in the fridge. Add milk, ice cream, bubblegum essence and vanilla extract to a food blender and blend until everything is well combined. Pour into your serving jar. Fit the end of your piping bag with a 1M tip and fill with whipped cream. Pipe on top of your milkshake. It may sink a little. One way to prevent this is to pipe starting in the center and make your way around the outside of the jar so that the cream sticks to the glass and then continue piping to create a cone effect. sprinkle with coloured sprinkles.